Bin Alam City Islamabad is a city itself that will comprise of highly advanced, modern day facilities at a scale that the nation has never seen before. 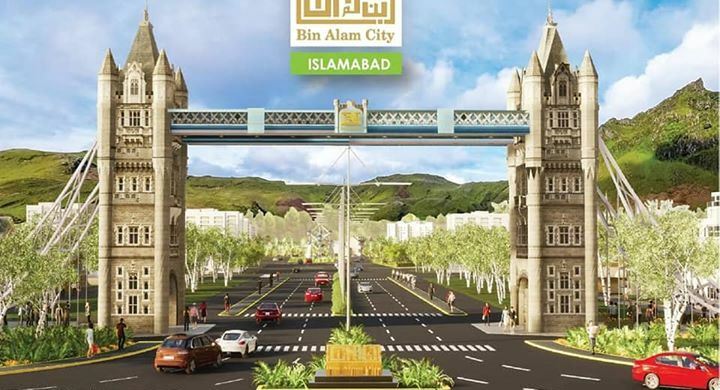 Bin Alam City Islamabad is being built with the aim to provide next generation facilities and infrastructure to a land that is least developed. The mission of Bin Alam Developers is to become the most successful real estate firm in Pakistan. Bin Alam Developers Pvt. Ltd. is all about the future development and prosperity of the nation, and everyone should be able to get a piece of it. The prime location of society is closely connected to Ranger station. Fatah Jang main Islamabad road have direct way to Bin Alam City Islamabad. Bin Alam City have few minute distance to Qurtaba city and HPL city Villas Islamabad. Bin Alam City’s Educational facilities will feed your ambitions of a better and prosperous future. Aesthetically designed residential community of Bin Alam City, Islamabad resides amidst international standard educational amenities that enable you to enjoy a well-groomed and intellectual lifestyle. Bin Alam City offers state-of-the-art facilities and amenities that support modern, quality and convenient lifestyle to its residents. Social interaction facilitation, recreational events and complexes, shopping mall/commercial area, 24/7 strictly supervised security, convenient transportation, peaceful and calm atmosphere along with international standard education institute/university are main elements addressed by Bin Alam City, Islamabad’s lifestyle vision. The Biggest Club of Islamabad: The Grand Magna Club & Resorts will include a Theme Park, Car Racing Track, Bungee Jumping, Sports Stadium, Transportation, Shooting Range, CPEC Access, and a Dam. 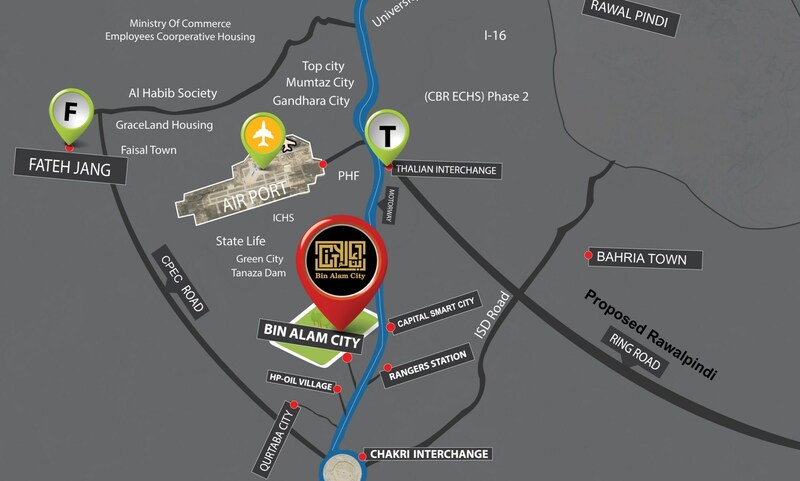 Bin Alam City offers a low cost housing solution in this pre-launch phase. It offers 7 marla single storey Capital Awami Villas on 3 years easy installment plan at introductory prices. Bin Alam City, Islamabad will be offering 5, 10 Marla and 1 Kanal residential plots on easy installments. The entire area has been efficiently planned and divided to provide spacious and comfortable lifestyle along with convenient accessibility to nearby hubs. This scheme is perfect for those who can’t afford to pay a heavy lump-sum amount. For more information on prices and payment plan click here.